Forever changed Teppan experience. Serving fresh meat, seafood, vegetables and even dessert on sizzling customized iron plate. Our flagship store is located in the heart of Seattle's International District, Ironsteak provides an interactive dinning experience for foodies around. We put a twist on the traditional cooking, all our entrees are served on customized individual iron plate. 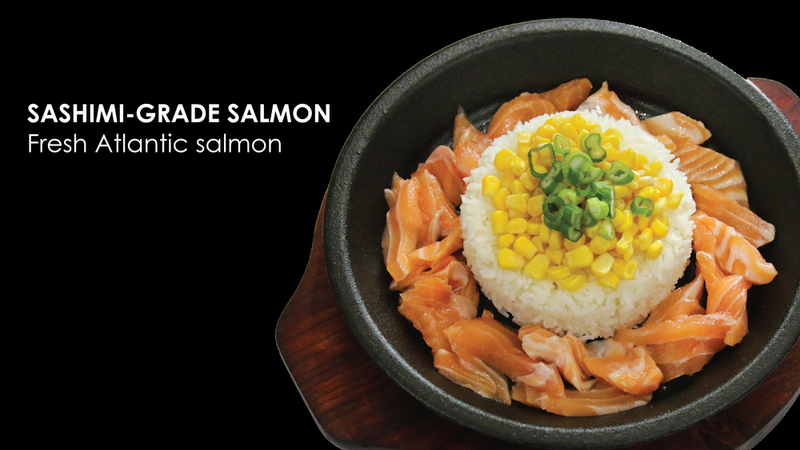 Our guests move quality steak or sashimi grade salmon around the sizzling dish and cook the protein to their liking. Next, add their choice of house made sauces, such as Pineapple Teriyaki or Yuzu Garlic Soy. They can also add extra Add-on such as eggs, mushroom, Kimchi, etc. The end result is a tasty quality customized creation that is sizzling hot. Vegetarians can get in on the fun with fresh vegetables replacing meat. Chef and Owner Jacky Lo was a former Executive Chef of renowned Wild Ginger Seattle, Bravern Wild Ginger and The Triple Door. He holds a very high standard and only serve food that he can be proud. At Ironsteak, we want each visit to be unique and exciting for our guests so while we offer the classic dishes such as New York Steak or Grilled Salmon; Chef Jacky Lo continues to create new dishes featuring different ingredients. Our latest creations include, Pork Belly and Black Pepper Sirloin Pasta. Pork Belly is slow cooked, then grilled on the iron plate and served with house made Kimchi, a classic Korean side dish that is made from fermented vegetables. Black Pepper Sirloin Pasta, served with spaghetti and black pepper sauce, just enough kick to hit the spicy craving. If you are of age, don't hesitate to pair our dishes with a glass of wine for wisdom, and beer for freedom. Room for dessert? Introducing, Iron Sundae. Butter pound cake topped with ice-cream cookie crumbs and house made caramel sauce. Served COLD on a sizzling HOT iron plate. ***All entrees will be served with rice, corn, and topped with scallion. Butter pound cake topped with ice-cream, cookie crumbs and house made caramel sauce, served COLD on HOT iron plate. Ironsteak is an innovative and profitable business with unique executions and dominant marketing. We are ready to share our success and strategy with our franchise partners. Our staff training and management systems will ensure a successful launching and operation in new territories. Please fill out the form below, we will respond to qualified applicants within 2 weeks. What area would you be interested in developing? Describe target geography -- specific city or broader. © 2018 Ironsteak. All rights reserved.